Working in a warehouse or distribution center, there are many threats to safety. From wayward forklifts, to heavy lifting injuries, to unsecured items like box cutters; there’s always the potential for harm. But when it comes to packages and pallets, there are a number of products that can make handling safer for workers. The easiest way to improve warehouse safety is to ensure proper pallet unitization. What this means is that all packages are secured on the pallet so that even if they get bumped or jostled, none of the boxes will fall over or become unstable. There are a few products designed specifically for pallet unitization. Shrink and stretch film is probably the most commonly used and secure method for pallet unitization. 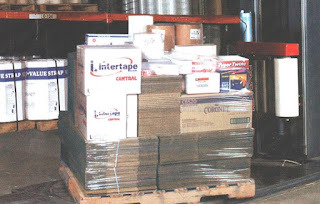 Once the correct number of boxes or other items are stacked on a pallet, the entire lot is wrapped in layers of stretch film to hold everything together. When the pallet is then transported, everything will be held in place to prevent spills and damage. There are a number of shrink and stretch film options depending on needs such as strength or ease of use. There are even colored bundling stretch films to color code inventory for easy sorting. If you don’t have an entire pallet of packages, but rather just a few items, it could be more efficient to strap them together rather than stretch wrapping them. This will keep the packages together without taking as much time to wrap and unwrap. There are a number of strapping materials to choose from including steel strapping for heavy loads, polyester strapping with is non-corrosive and lighter than steel, and polypropylene strapping tape for general packing use that allows for some stretch. You’ll also need to consider other supporting products, such as strapping sealers, strapping shears, and strapping tensioners, so make sure you have all necessary items in place before you get started. For fragile products that require extra care during handling, edge protectors can provide extra support while serving as a “bumper” on corners. Printed edge protectors can also convey messages to workers, which is especially important for items that should not be stacked or require additional handling instructions. Though this isn’t a true unitization product in that it still requires some form of wrapping, it does provide an additional layer of protection and support. Have any questions about which pallet unitization product is right for you? Feel free to email custserv@stamarpackaging.com for a consultation. Now more than ever, it’s vital for employers to consistently attract fresh talent as baby boomers enter retirement. Similarly, once an employee is on-boarded, companies should make an effort to keep them to prevent the knowledge drain associated with high turnover. Offering a competitive benefits package is the first line of defense, but it’s often not enough. Instead, companies should see what products or services will make employees’ lives easier and help them do their jobs more effectively each day. It can be easy for new hires to get overwhelmed with training materials and supplies during their first week or so. If you’re going to provide them with books of information, make sure they have a place to keep everything! 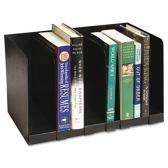 A book rack with dividers will keep necessary textbooks and binders handy and organized. For smaller packets and handbooks, a simple letter tray should do the job. Similarly, having easy access to pens, pencils, tape, paper clips, etc., is important. Adding a desk drawer organizer to each workstation will help ensure that daily necessities are always quick to find. And you’ll get bonus points for stocking the organizer with essentials ahead of time. Health and wellness have taken center stage in many workplaces. But you don’t need to provide each employee with a gym membership to show that you’re committed to employee wellbeing. Incorporating products that promote activity can be as simple as having ergonomic exercise balls available in addition to normal office chairs. This gives workers the ability to stay fit while sitting at their desks. If you want employees who are engaged in their work, you must allow for some motivational material. It helps to have an open policy that allows workers to decorate their spaces within reason, but also consider adding posters that reinforce a message of productivity and teamwork. Plain meeting rooms can easily be transformed into collaborative spaces with a few well-placed motivational posters. By creating a workplace that fosters creativity, wellness, and organization, you’ll be making an investment in your employees’ wellbeing and productivity. People like to stay where they feel appreciated and cared for, which is easy enough to achieve by making some simple additions to the office. Stamar has a full range of office supplies to choose from. Speak with one of our representatives at 877-782-6273 to determine which products meet your needs. With entrepreneurship on the rise and the economy seeing numerous benefits, there’s a greater demand for business-related products and services. And the continued growth trend can’t be ignored, as “entrepreneurs are creating jobs at more than twice the rate of established companies,” according to a Financial Times article. All of these new employees will be able to increase the capabilities of each small business, bringing in new revenue and allowing founders to hone in on what will help them stand out among the competition. Packaging is one way of doing that – though you’ll want to consider who you’re selling to in order to get the most out of it. For small businesses that sell products directly to consumers, packaging can leave a lasting impression that leads to repeat sales and referrals. The idea is to create an unwrapping experience that buyers will want to repeat later on. Sometimes it can be motivated by pride in the purchase itself, as with recognizable high-end product packaging like Tiffany jewelry. And sometimes it’s just the amount of care and thought that went into packaging, similar to unwrapping a gift from a friend or family member that leads to a more personalized experience. Including a note of thanks for the purchase is one way to stand out, along with options like branded tissue paper or packaging that’s printed in the brand’s logo or color scheme. The main thing you’ll want to focus on is finding a packaging concept that is user friendly, recognizable, and at least somewhat personal. People like dealing with other people, so use that to your advantage when promoting your small business. When your primary customers are other businesses, there are a few things that are similar to selling to consumers. You still want the packaging to be recognizable and “on brand,” but you can focus less on the emotional experience of unwrapping and more on ease of use. Another consideration is stack-ability of packages – since you’re more likely to get bulk orders rather than one-off pieces. So while packaging for consumers can be interesting shapes to get attention, when working with a business, make it more utilitarian so that boxes can be easily stacked up on a pallet and warehoused. You can also use standard corrugated packaging materials for shipping rather than decorative options. Overall, the main objective is to find packaging options that will reinforce the fact that you’re the right supplier for your customer. Consider various options that are within your price range so that shipping doesn’t eat too much of a hole in your profit margins, and then go from there. Packaging is an important consideration, but it shouldn’t break the bank. If you have any questions about packaging selection, feel free to call us at 630-282-5400. We’re an experienced distributor of packaging and shipping supplies, so we can help guide you toward the right products. Look around your own home or office, and chances are you'll find more than a few promotional products from other companies. But as you consider ways to build up your own brand recognition, what can you do to stand out from the crowd? Sustainability is in. Demonstrating that your company is devoted to the planet is the perfect way to grab attention, regardless of the industry you are part of. When thinking about promotional products, the right direction moving forward is to make the best possible effort toward sustainability. By utilizing environmentally-friendly products, you can show that your business cares about more than just the bottom line. On top of that, it gives you a story behind your promotional product. Having a story and a product that connects on multiple levels, is how you can stand out from competitors. Handing out a coaster with your business name on it will likely get it relegated to a desk drawer – handing out a seed-implanted coaster, or wooden coaster, will make it an attractive desk adornment or something the customer will plant and enjoy for years. Building this sort of connection will help keep your company in the front of the customer’s mind, and these can be useful triggers long after a trade show or meeting is over. · Seed Paper Coasters that are made of recycled material, and embedded with wildflower seeds, to grow your own desktop flower garden! Check out our full range of eco-friendly promotional products, and see what Stamar can do for you as far as eco-friendly promotional products. While some companies may see this as a trend, we at Stamar see this as a big part of the future, and we are committed to growing our environmentally-friendly product line far into the future. Keep an eye as our line grows, or get in contact with us to see about potential future innovations. Digital printing has been steadily growing and holds a lot of promise for the future. While color digital printing has been a boon for color digital labels, folding cartons, and flexible packaging, corrugated packaging hasn't been as receptive, with only specialist converters available and low usage. All of that is changing though. Suppliers such as Hewlett Packard are emerging with solutions for short-run digital printing of corrugated products, including secondary packs and displays. These digital printers address the concerns of designers and marketers by providing a new generation of solutions that can retain the quality of traditional analog printing – image quality and color being the primary concerns. While analog printing will likely continue to be the standard in the near future, digital printing is edging closer to wider acceptance, due to some distinct advantages. · Ability to print low-count print runs with improved cost efficiency – a digital run can print off anywhere from 1 to thousands, with little waste or warm-up cost. · Prototyping ability for targeting specific markets. · Improved turn-around times for low-count runs. · Freeing up analog presses for printing long runs, allowing faster turn time on those as well. Digital is truly a great innovation for the future of printing, though it is unlikely to replace analog printing outright – we see them as complimentary technologies, and expect them to work together as such as digital gains more traction. · Durability: Plastic flexible pouches don’t crack when frozen, don’t break when dropped, and can be twisted, bent, and contorted – and will still be a viable container. These also help them to be more resistant to contamination, and the inclusion of UV-resistant factors can prevent deterioration by light exposure. · Reusability: With easy-to-seal tops that help maintain freshness, the pouches can be refilled and reused as needed. It is an added value to the customer, and reduces landfill waste at the same time. · Efficiency: Flexible plastic packaging requires limited resources to make the packaging. As highlighted in this article, a pound of peanuts requires ten times more material when contained in glass versus a flexible plastic pouch. · Environmental Responsibility: Flexible plastic pouches require less energy to create – and because of their flexibility and light weight structure, Fres-co estimates that flexible pouches create 50% less volume in landfills, while requiring 88% less fossil fuel to produce. 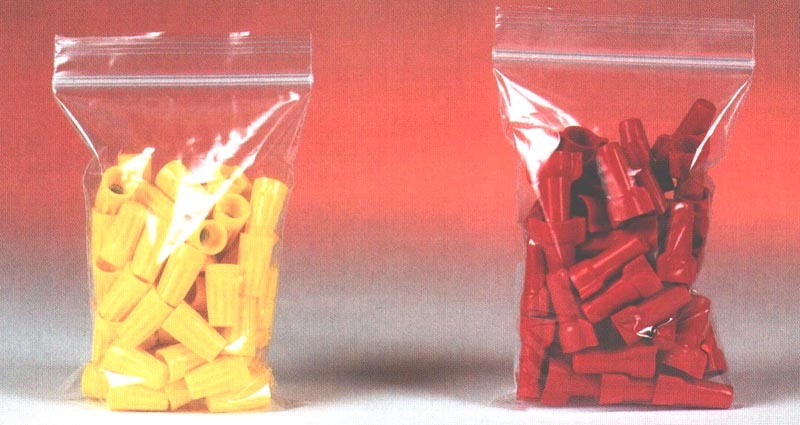 · Easy and Cheap to Ship: One truckload of flexible packaging can hold enough packages to contain what you would need 26 truckloads of glass packaging – which is 25 less truckloads, and 25 less tanks of fuel, needed to ship. When full, more flexible pouches can be fit into a truck’s weight limit, again reducing the numbers of truckloads needed and again saving fuel. Easier to ship, safer to use, environmentally- and budget-friendly, the flexible plastic pouch looks to be the responsible packaging choice into the future. Here at Stamar, we like to stay on the cutting edge of the latest packaging technology, and we are interested to see how flexible plastic pouches evolve over the next few years. Contact us to see what we can do for your packaging needs to see what trends we can work into your packaging solution! ACK EXPO International (Nov. 6–9, 2016; McCormick Place, Chicago), according to PACK EXPO producer, PMMI, The Association for Packaging and Processing Technologies. The showcase will display the latest innovations and award-winning designs in packaging. The packages featured in the showcase are winning entries from competitions all around the world. Stamar is a Leading Distributor of Packaging, Shipping and Industrial Supplies to Companies Throughout the USA You name the packaging area; Stamar has it covered - from manufacturing to distribution. As 50% of Stamar's business deals with corrugated, the other 50% is packaging supplies. Having our long-standing relationships with our business partners, we have ready access to a world of products in the packaging area. That does not mean that we play favorites; therefore, it means we can give you the best possible service at the lowest possible cost.